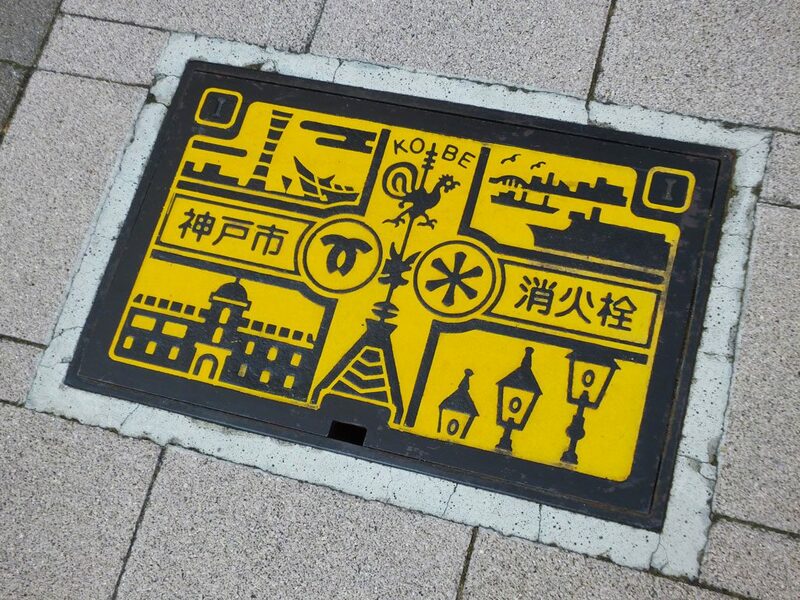 In Kobe, I found a yellow fire hydrant cover. How pretty! The weathercock in the middle is the famous Weathercock House’s. The gas lighting is so Kobe, too.